Barnard Park is in the seaside city of Victoria, one of thirteen communities that form the Capital Region of British Columbia. This park lies partially in the community of Esquimalt. Play tennis on the waterfront of harbour of Victoria, BC, at Barnard Park. Enjoy the cool ocean breezes while watching your children play on the playground. Here there is simple climbing apparatus which end in a long slide. Nearby are double tot and double child swings in the same wood chip base. Take a stroll along the pathways under the Garry oak, arbutus, shore pine, horse chestnut and Douglas fir trees in the grass covered areas of this park. There are a few benches and picnic tables. A twenty five meter pathway connects with Sea Terrace which has parking near the two tennis courts that are chain link fenced. The park is partially fenced along busy Esquimalt Road. 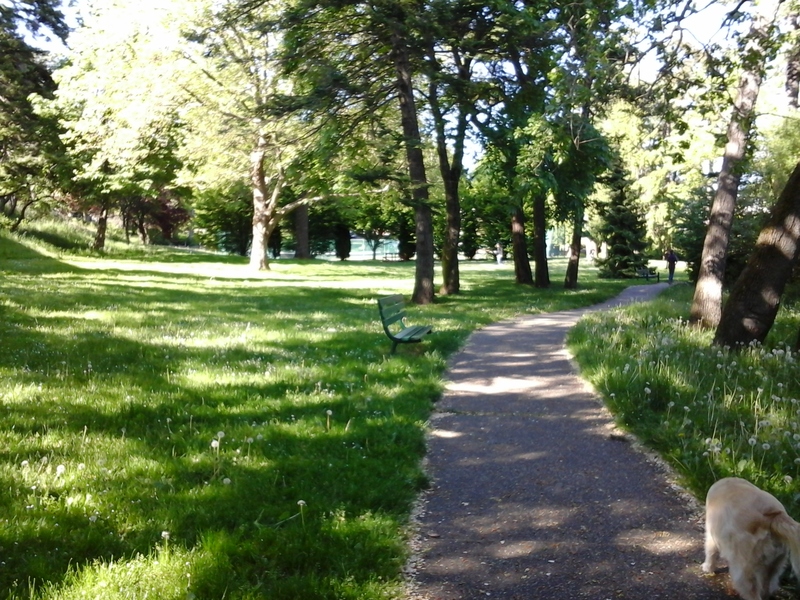 This park was once hosted a boarding house that had previously been a nunnery. Yet the original footprint for the tennis courts was a house built in eighteen hundred and ninety four for Mrs. A.J.W. Bridgman. ‘The Clovelly’ was purchased and named by Sir Francis Stillman (Frank) Barnard and his wife in nineteen-o-eight. Sir Barnard was the Lieutenant Governor of British Columbia during World War One. The refurbished brick gate posts are from the original homestead and lead to the shoreline and ridge pathways. The main pathway, along the shoreline, is part of the Westsong Walkway. This three kilometer walkway extents between Johnson Street Bridge, in Victoria, and Head Street, in Esquimalt. It is the footpath that hugs the shoreline of Victoria’s Harbour. 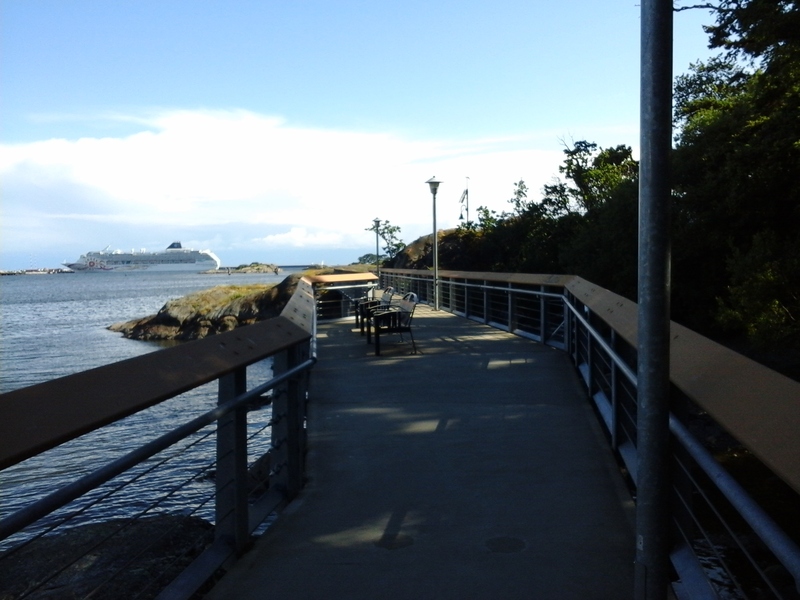 The ridge pathway is about one hundred and fifty meters connect with the Westsong walkway in a rock outcrop that overlooks West Bay in Esquimalt. With a property of about one and a half hectares and a hundred year old heritage there are several large Garry oak and Douglas fir trees seen along the ridge pathway through the forested area of the park. 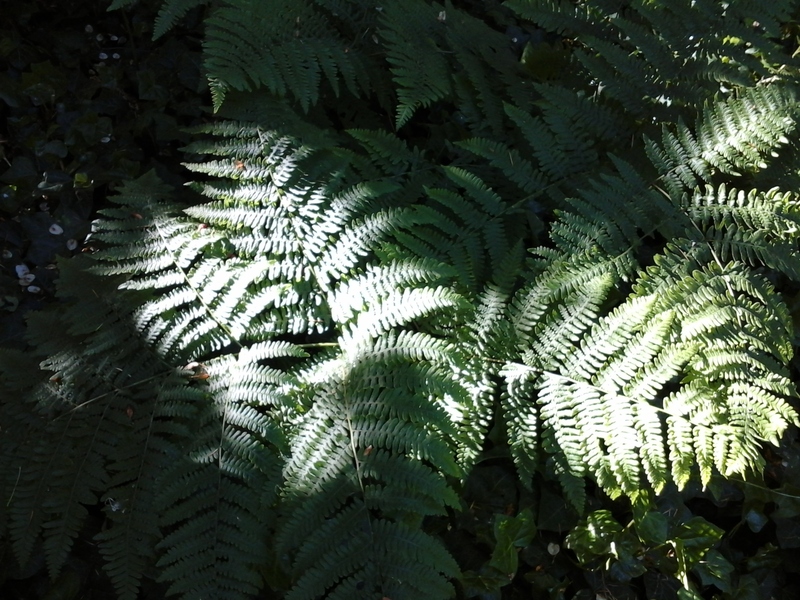 The understory is thick with snow berry shrubs and blackberry bushes. The gazebo near Maitland Street Green Space can be seen to the east along Westsong Walkway. Barnard Park can be reached from Blanchard Street. Turn west onto Johnson Street and continue across the bridge to Esquimalt Road. Turn left onto Barnard Street, which is about eight streets along Esquimalt Road. The park is at 200 Barnard Street. There is limited street parking along both Barnard Street and Sea Terrace, which is accessed from Dunsmuir Road. Dunsmuir Road is about a block further east from Barnard Street. A city bus travels along Esquimalt Road from downtown and stops right outside this urban park.